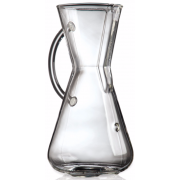 Chemex offers you ways to brew the perfect cup of coffee. We have the elegant Chemex Classic Series coffeemaker in different sizes, both in the regular model as well as the handblown version. We also have the Chemex Glass Handle Series coffeemaker which has a graceful but sturdy glass handle instead of the wood collar. 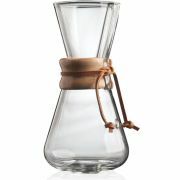 We also have all the Chemex accessories including paper filters in all sizes and shapes.